Before delving in to this post, I must apologize for being absent for the last little while. I had every intention of getting this post, and many others, up much sooner, but I've been quite ill for the past week or so and barely able to look at my computer, let alone type up a blog post. So in true comeback fashion (?) 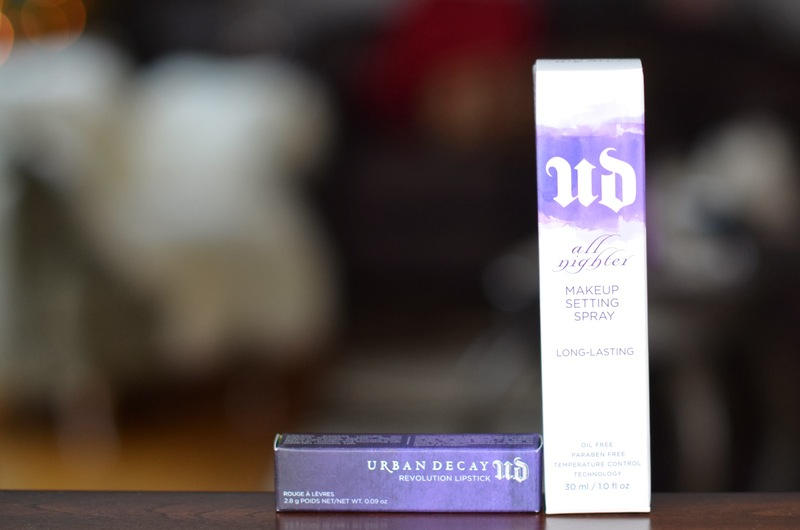 here's a little Urban Decay haul! I used some of the Sephora gift card I got for Christmas to get these goodies, and I'm very very happy with my choices! I spent a good 10 minutes in front of the Urban Decay display, swatching their new Revolution lipsticks and hemming and hawing. I finally settled on a delightfully boring "my lips but better" shade: Naked. Nothing else jumped out at me in the display (that I could justify, that is), so off I went to the checkout, where I saw the travel size of the All Nighter setting spray, something I'd been meaning to try for a while now. 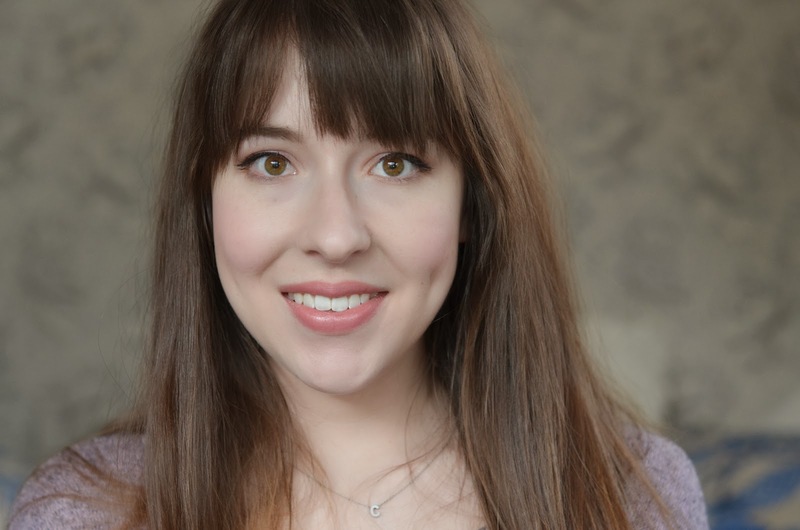 On a related note, I'm super stoked about how awesome my skin looks in this photo. I'm happy to report I've had no major zit activity in quite a while, so that's a huge improvement. But as is the case with acne-prone skin, there's always something. I still have blackheads, red bumps, and scarring, but to be in a zit dry-spell is quite the dream come true! 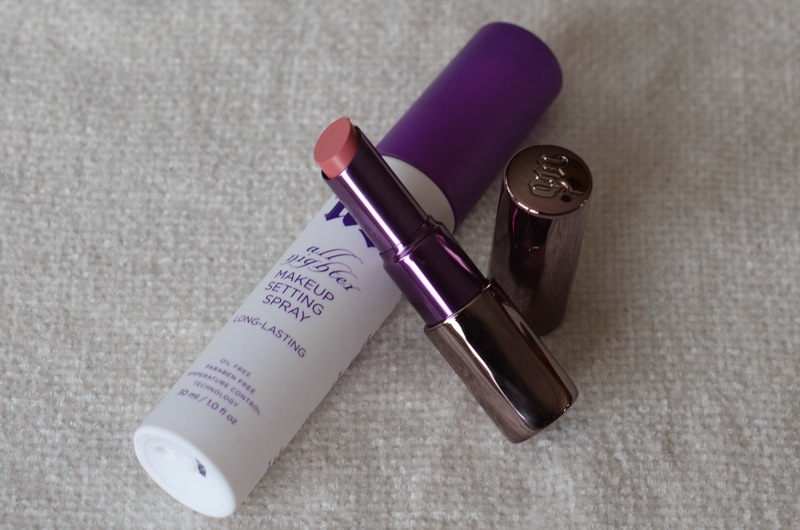 Have you tried the Urban Decay Revolution lipsticks? Do you have a go-to "my lips but better" lipstick? Thanks Natalie! I'm loving both so far! Thanks Kim! I really like EOS lip balm too. I'm currently working on the pink one, and it's definitely a daily go-to. 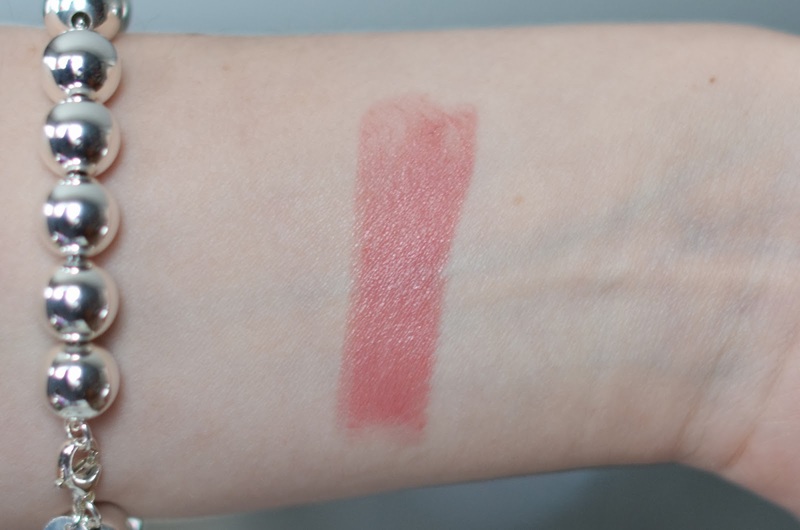 I'm a huge fan of the Korres lip butters, especially Jasmine. I like it so much, I have it in the butter glaze/gloss as well! It lightens my lips a little bit, and gives really nice moisture. My only issue with it is the fact that it's in a pot, and it's not exactly a breeze to whip out in public and reapply. That's why I got the gloss, but it's not quite the same product!